Dive deep into this month's News You Can Use! Have a great summer from your friends at the Pennsylvania Forestry Association and Tree Farm Committee! Have news to share? Send it to cwright@versantstrategies.net. 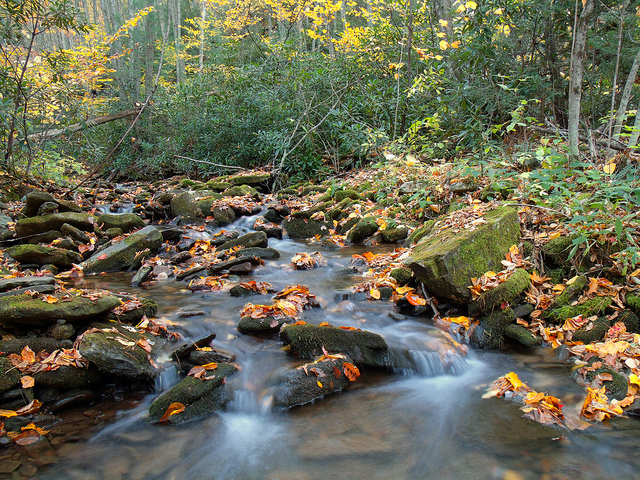 "Managing and Conserving Pennsylvania's Forested Waters"
Did you know more than half of the U.S. drinking water originates in forests? Pennsylvania contains nearly 83,000 miles of waterways --- more miles of rivers and streams than any other state in the continental U.S.
Join the members of the Pennsylvania Forestry Association as we explore the essential relationship between our forests and waters. This year’s PFA meeting features a new one-day format and an agenda packed full with high-quality speakers, including representatives from Stroud Water Research Center, Penn State Extension, Chesapeake Forests, Woods & Water Consulting and a keynote address by John Arway, Executive Director of the Pennsylvania Fish & Boat Commission. Forests and waters have been intricately linked in the history, culture and development of Pennsylvania. From the beginning, Pennsylvania waterways provided passage into the ‘deep woods’ and transportation to/from the early settlements. Today, Pennsylvania waters are no less important --- providing sources of drinking water, habitat for a variety of organisms, animals and fish and providing passage into a wonderful world of water-based recreation! Any activity within a watershed has the potential of affecting the quality of our water sources. Join in on the Pennsylvania Forestry Association Annual Business Meeting set for 11:00-11:45 on Saturday, October 6. Set for Friday, October 5 at the Shenecoy Sportsmen Club in Huntingdon, PA, the Pennsylvania Forestry Association and the Pennsylvania Forest Products Association will once again host a Sporting Clay Shoot the day before the Annual Meeting. Click below for registration and sponsorship information. We welcome friends and business to join us as Sponsors of the Annual Meeting. Rooms are available. 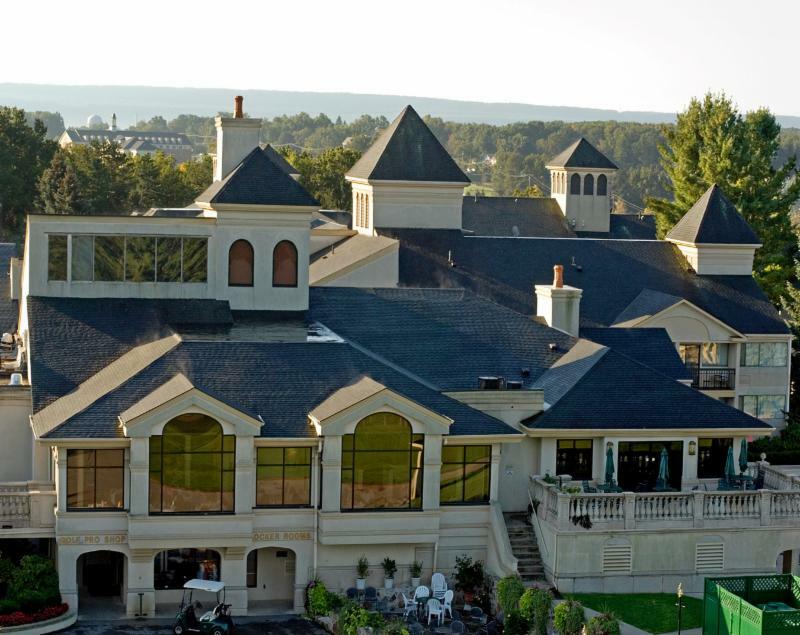 Call Toftrees Resort and Conference Center at (814) 234-8000. Please note that the hotel rooms are not serviced by an elevator. Please notify the hotel when making your reservations if you'd like a first floor hotel room. We thank our friends and allied organization PA SFI Implementation Committee for this update on the Sedimentation and Erosion Control Plan policy work and for permission to report on this issue to PFA Members. More information can be found on their website www.sfiofpa.org/forms.php . In early 2017, DEP advised the Conservation Districts to discontinue the use of the Timber Harvesting Operations Field Gide for Waterways, Wetlands and Erosion Control as well as Controlling Erosion and Sediment from Timber Harvesting Operations (what was commonly referred to as the Timber Harvesting Action Packet), because the content was out date and the Department had no plans to update them. This was concerning to the timber harvesting industry as it affected the Erosion and Sedimentation (E&S) Control Plans that are wide-ly used to comply with Pennsylvania’s environmental regulations and obtain DEP permits on nearly all timber harvests in the state. It also created confusion and inconsistencies among the Conservation Districts. Pennsylvania SIC staff lead an ad-hoc working group made up of representatives from industry, county conservation districts, and state government with the purpose of developing a revised version of the plan that would satisfy current regulations. After nearly a year of work, the group finally reached consensus with DEP on a final draft and the updated E&S Plan was made publicly available through DEP’s eLibrary (also available through our website: www.sfiofpa.org/forms.php). The SIC recognizes the importance of these plans in implementing BMPs. Our goal in this process was to include the minimum changes necessary to satisfy state regulations, while also maintaining a clear and logical document. The SIC also advocated for important clarifications that should help protect timber harvesting operators from some common regulatory misinterpretations. The new plan is considerably longer than the old version (20 pages vs 11). However, this is mostly because of informative guidelines and specifications that are required to be included. There are also four additional BMPs that have been added; turnouts, water deflectors, compost filter sock, and wood chip filter berms. These are all DEP approved practices that are sometimes used on timber harvesting operations, but were not previously included in the E&S Plan. The recommended spacings have been changed for ditch relief culverts, waterbars, and filter strips. Of these, the most significant is the minimum forest filter strip width changing from 50ft to 75ft. The recommended seed mixtures and rates have also been updated. The process for completing the form is nearly the same as it has always been, with a few exceptions. First, Sections 9 and 10 are new and address concerns related to natural geologic for-mations (as a result of the I-99 “disaster”) and thermal impacts to surface waters. In most cases these sections will simply be addressed by checking the “No” box. Next, Section 12 (Maintenance) now requires written documentation of BMP inspections on a weekly basis and after each stormwater event. This has been a regulatory requirement for some time, but not included in the E&S Plan. Our working group created a simple one-page Timber Har-vesting BMP Inspection Template that can be used to document inspections. DEP has reviewed our template and concurs that it will satisfy regulatory requirements; however, they declined to include it with the E&S Plan so it is not available through DEP’s eLibrary. The inspection form will need to be downloaded separately by practitioners (available through our website at www.sfiofpa.org/forms.php). Lastly, Section 13 (Site Cleanup) includes a requirement that a Preparedness, Prevention and Con-tingency (PPC) Plan be written for the timber harvest site. This plan addresses hazardous materials on site and has also been a requirement not included in the E&S Plan for some time. Again, our working group developed a straightforward PPC Plan template for timber harvesting that DEP has reviewed and considers to be sufficient for use. Several loggers also reviewed the plan and provid-ed feedback. DEP also declined to include this with the E&S Plan so practitioners will need to download it separately from our website: www.sfiofpa.org/forms.php. The Pennsylvania SIC would like to thank the staff from DEP’s Bureau of Clean Water that cooper-ated with us on this effort and all the members of the working group for their input and efforts. We would also like to acknowledge the assistance we received from the Hardwoods Development Council and the Executive Secretary of the Pennsylvania State Conservation Commission. The Pennsylvania Prescribed Fire Council (PPFC) Steering Committee met in the Forest Resources Building on the Penn State University campus to discuss prescribed burning on private lands in the commonwealth. Aaron Lewis was the PFA representative for the steering committee. The goal of this meeting was to develop ideas to make prescribed burning feasible for private landowners. One of the largest issues for prescribed burning in Pennsylvania is the lack of resources. There are no burning contractors in the commonwealth because of the lack in demand. There is a lack in demand for prescribed burning because there are no contractors, creating a conundrum for landowners who desire prescribed fire. Pennsylvania landownership is dominated by private landowners, often with parcels less than 100 acres. These small tracts create logistical issues when attempting to implement a prescribed fire. Successful implementation of prescribed burning across the commonwealth will require cooperation amongst landowners. The steering committee agreed the best way to encourage landowners to use prescribed fire and encourage burning contractors to come to Pennsylvania is to implement a pilot organization of landowners. This group will form a legal association and will have money and resources to burn on each other’s property. Forest consultants will also be involved in the organization and implementation of prescribed burns. This association would also host training exercises for its members. PFA’s Pennsylvania Forests magazine was brought up as a method of locating landowners who may be interested in joining this pilot association. The information discussed at this meeting will be brought to the PPFC members. Be sure to check out the Grant Programs that the Department of Conservation and Natural Resources is currently offering. These include the All-Terrain Vehichle and Snowmobile Grant, Peer and Circuit Rider Grant, and the Riparian Forest Buffer Grant. This article shared by PFA member Gary Westlake. NORTH COVENTRY >> Gary Westlake would like you to imagine a township law that tells a farmer when to harvest his corn, or what kind of feed to use to fatten up her hogs. He think’s you’ll agree with him that such a law would seem like a lot of government interference in a farmer’s operation. Westlake is a farmer too, except his crop is trees. And like other farmers who have objected to local ordinances across Pennsylvania, Westlake feels his logging operations are being illegally restricted by a North Coventry Township ordinance and, judging by a 163-page ruling issued a special office of the Pennsylvania Attorney General, he’s right. True, Westlake’s is not a crop that gets harvested every year, it is on something closer to a 10-year-cycle. It is an operation he and his family have managed on 170 acres of woodland off North Hill Camp Road for three generations. 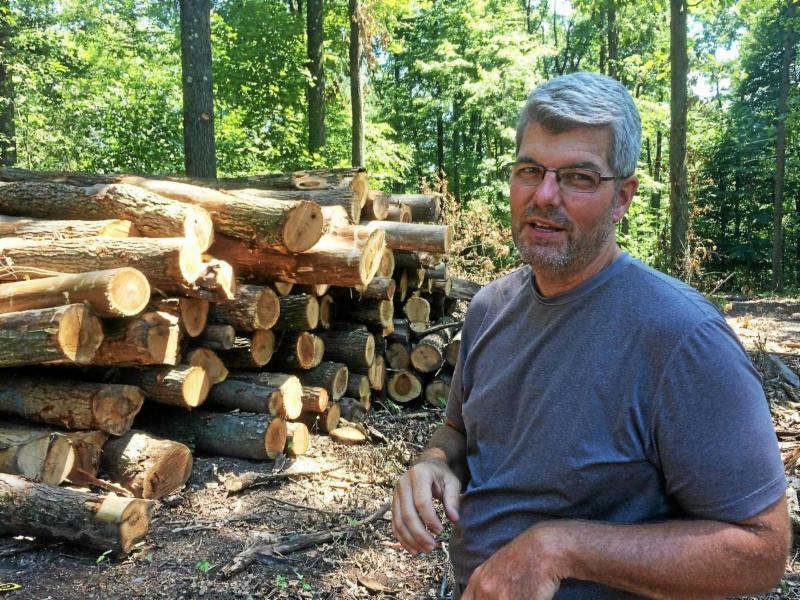 But in March of 2016, when Westlake informed the North Coventry Supervisors he intended to commence logging on 60 acres he owns, 30 of which are in North Coventry and 30 of which are in Warwick Township, he discovered that the local ordinances had changed since he did the same thing 10 years earlier, and there were many more requirements to meet before he could begin. Since then, a special branch of the Pennsylvania Attorney General’s office set up under a state law to determine if local agriculture ordinances are too restrictive, has determined that many aspects of North Coventry’s ordinance are exactly that. PA Tree Farmer of the Year (2018) and PA Inspector of the Year (2018) have been selected. Join us at the PFA Annual Meeting on October 6, 2018, for award presentations. This free e-book, made available by the USDA Forest Service, helps to communicate that it is helpful and sometimes necessary for Tree Farmers and others to cut down trees. Download the e-book here! Great News: The American Tree Farm System and its 2018 Outcome Based Grant Program has awarded PATF a grant involving Tree Farm’s Participation in Walk in Penn’s Woods ! Please consider hosting a walk on your Tree Farm on Sunday, October 7 as part of the Walk in Penn's Woods Program. Check out https://sites.psu.edu/walkinpennswoods/ for more information. All Tree Farms targeted for 2018 inspection have been notified. If you have not yet done so, please contact your inspector. To find a list of certified Tree Farm Inspectors, visit www.patreefarm.org/inspectors If you need assistance, contact PATF via phone at 1-800-835-8065 or email at thePFA@paforestry.org or burnhamjc@msncom . 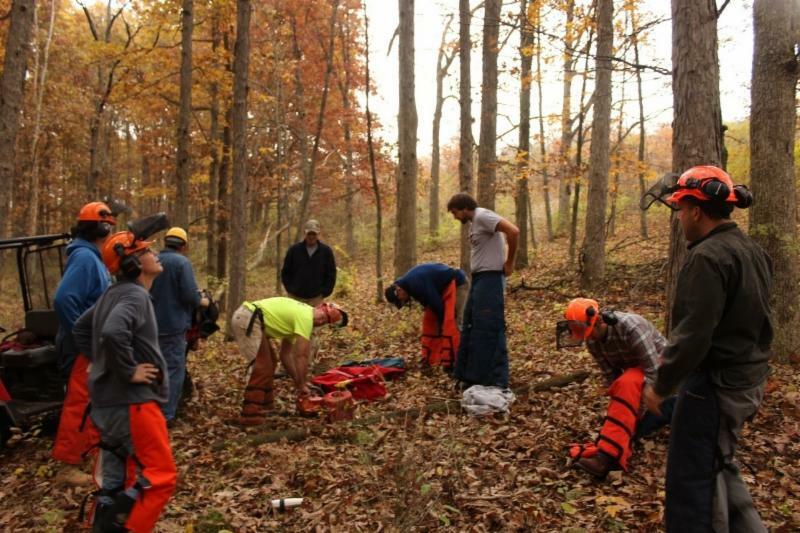 Game of Logging is acknowledged as one of the premier chainsaw safety and felling trainings in the United States. 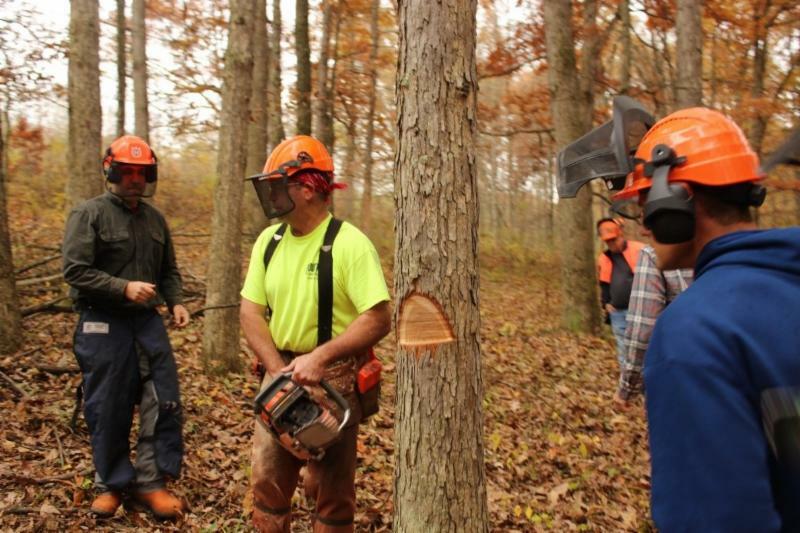 Instructors combine demonstration with participation to teach chainsaw safety, productivity, conservation, and cutting techniques that includes directional felling. 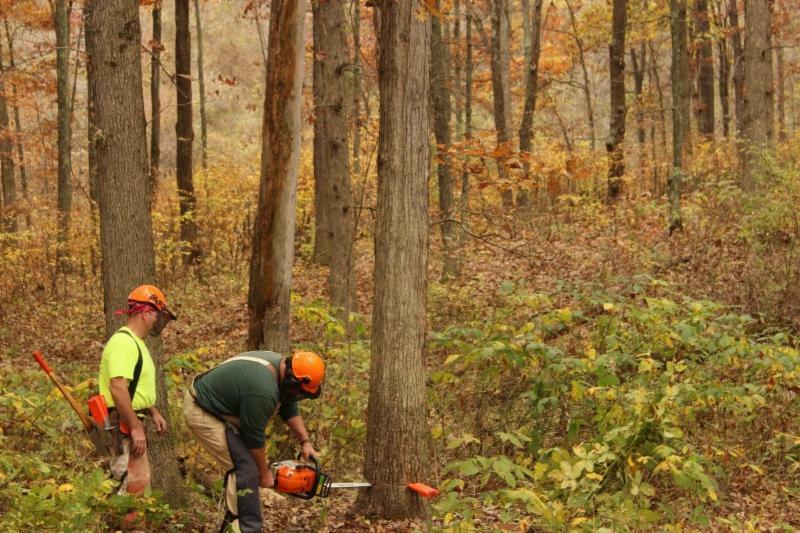 Level 1 training topics include personal protective equipment, chainsaw safety features, chainsaw reactive forces, bore cutting, pre-planning the fell, and understanding hinge wood strength. To participate in this offer, Certified PA Tree Farmers should visit the SFI website at https://www.sfiofpa.org/course-registration.php to register or call 888-734-9366. Participants will pay the full price of $95 to register. Please note that the registration is nonrefundable. Once the course is completed, the Certified Tree Farmer should contact Caleb Wright ( cwright@versantstrategies.net or at 1-800-835-8065) to arrange the scholarship of $35. Information that you will need to provide Caleb will include your name, Tree Farm number, and date of Game Of Logging course completed. The course must be completed to receive the refund. This refund offer is valid for only the SFI offered Game of Logging Level 1 trainings. Check the SFI website for the schedule of courses beyond the listed dates. PA Tree Farm Committee values landowners that are taking part in actively managing their forestland. This scholarship refund is only available to Certified Tree Farmers. To check on your status contact the PFA office at (800) 835-8065. Stay tuned for more information about benefits offered to Certified Tree Farmers that will help you be safe on the job and learn skills needed to manage high quality forests. Here is this month’s listing of upcoming arboriculture and community forestry events in and around Pennsylvania and online. For more information on a particular program, please use the listed contact information for that program. EVENTS - MARK YOUR CALENDARS! 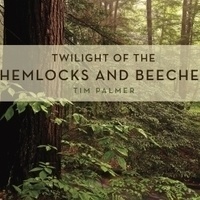 PA Parks and Forest Foundation hosts Tim Palmer for presentation titled "Hemlocks and Beeches"
PPFF invites you to two appearances by Mr. Palmer to talk about his new book and the future of these iconic species, this first at the State Museum of Pennsylvania, co-sponsored by the Pennsylvania Department of Conservation and Natural Resources. The event is scheduled for Friday, September 14 from 12 PM - 1 PM at the State Museum in Harrisburg. More information is available here. 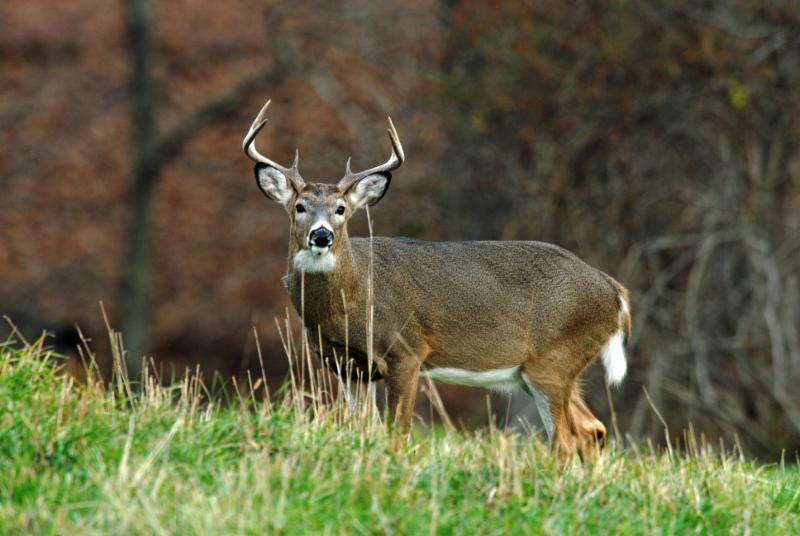 Pennsylvania Game Commission Northeast Region Director Daniel Figured announced the Northeast Region will host two state game lands wildlife habitat vehicular tours to highlight habitat enhancements, infrastructure improvements and hunting opportunities. Luzerne and Wyoming counties: Sunday, Oct. 7, on State Game Lands 57, which is nearly 44,600 acres. Registration to be held from 7:30 a.m. until noon at the headquarters on State Game Lands 57, Ricketts Station, Forkston Township, Wyoming County. Game Commission personnel will be on hand to explain various points of interest, including wildlife habitat-improvement projects. Four-wheel-drive vehicles with high clearance are required for this 30-mile, self-guided driving tour. The tour will pass habitat-improvement projects completed by the State Game Lands 57 habitat-management crew with help from the National Wild Turkey Federation, Whitetails Unlimited, and Ducks Unlimited. Representatives from the Game Commission and conservation organizations will be on hand to explain the projects and answer questions. Directions: Take state Route 487 north from state Route 118 and proceed 7.5 miles. Turn right onto the dirt road near the game lands sign on the right. Travel 0.1 miles to “Y” intersection and proceed 0.3 miles to the headquarters complex. Each vehicle will be provided with a map and brief explanation of wildlife habitat management programs being carried out on this magnificent tract of public hunting land. Carbon County: Sunday, Oct. 14, on State Game Lands 141, which is nearly 17,048 acres. Registration will be held from 9 a.m. until 1 p.m. at the large parking lot along state Route 93 on State Game Lands 141, Nesquehoning Township. Four-wheel-drive vehicles are recommended for this 9-mile, self-guided driving tour. The tour will begin at the large parking area on the east side state Route 93 and travels east on a game lands road toward the Lehigh Gorge State Park, and back to state Route 93, exiting at the parking lot across from the game lands shooting range. The tour will pass habitat-improvement projects completed by the game lands habitat-management crew stationed in Carbon County, with help from the National Wild Turkey Federation, The Nature Conservancy, and the Ruffed Grouse Society. Game Commission personnel will be on hand to explain various points of interest, including wildlife habitat-improvement projects. Directions: Take state Route 93 north from state Route 209 and proceed 3.5 miles and turn right into the parking lot. Proceed through the gate on a dirt road. Each vehicle will be provided a map and brief explanation of wildlife and habitat-management programs being carried out on this magnificent tract of public hunting land. Bradford County: The status of a state game lands wildlife habitat tour being conducted on State Game Lands 12 in Bradford County is pending due to tour route road conditions. The Northeast Region of the PA Game Commission will issue a future press release if a tour on State Game Lands 12 can be held this year and provide additional information. This year’s Tree Farmer of the Year is located is Woodsfield, Ohio, on the eastern border not too far from the Ohio River. On behalf of the Ohio Tree Farm Committee, we would like to extend our invitation to attend this tour to our neighbors in West Virginia and Pennsylvania. The event is scheduled for October 20, 2018. Commercial & Public Applicator Pesticide Short Course will help build a foundation of knowledge about safe and proper handling and use of pesticides. Check out the PFA Facebook page by clicking the icon below. Stay up-to-date with the latest news!